I was really excited when the company Canvas On The Cheap contacted me to do a giveaway because I think that designing your own decor makes a huge difference in how you feel about your space. 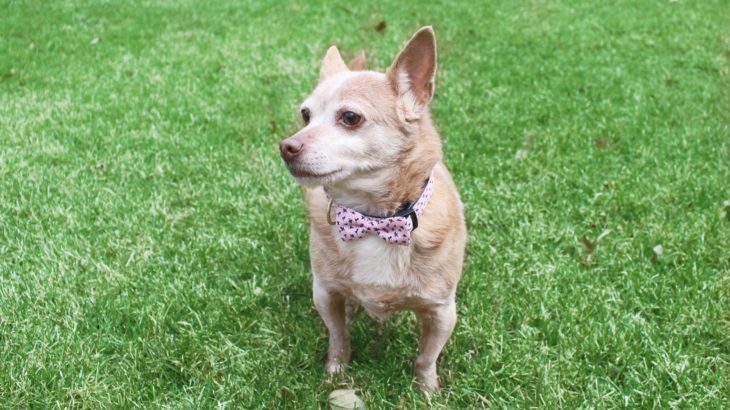 They offered me a free 16″ x 14″ canvas (the same size that you can win) and I decided that since I do not have one pic that includes all three of my kids, I would feature our dog Reese who you know is quite the star on my blog and social media. I will show you a bit about the process that I completed to get my canvas created and then see below for the giveaway for the opportunity to win one of your own. I already had my picture in mind so the whole process from start to finish took me (honest to God) under 5 minutes. First, choose your canvas size and wrap thickness. Next, upload your pictures or art, and choose your border for a personalized canvas print. You can also choose frames if you like. 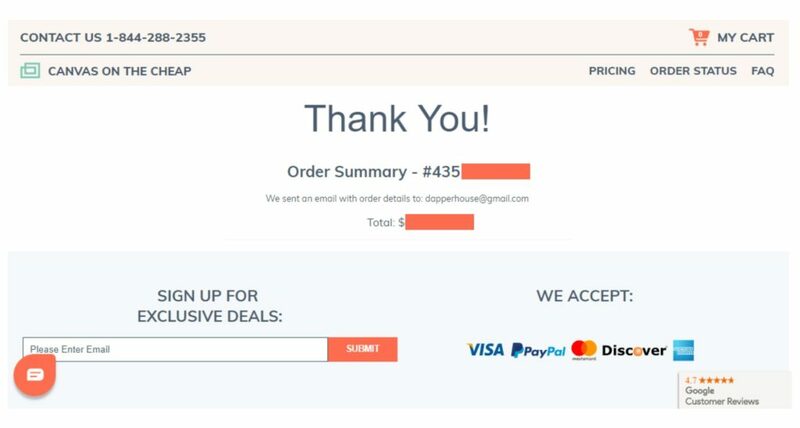 Then, fill out your shipping and billing info and you are done! When the box came I was SOOOO excited to see my canvas of Reese. When I actually saw the photo on the canvas I was surprised that it was such clear and colorful quality! It is really gorgeous and does not look anything but high class and cute. I have it hanging in our entry hall where he comes greet everyone at the door barking and growling to protect his home. Everyone who has seen is thinks it is awesome and we agree. What will you get on your canvas? *If you don’t want to wait for the giveaway, you can CLICK HERE and use my affiliate link to start creating your masterpiece on canvas now! Here is the Giveaway for you to Enter for a chance to win your own 16″ x 20″ photo on a canvas from the generous people at Canvas on the Cheap. *Must be 18 or older to win. Canvas on the Cheap is responsible for prize fulfillment. Void contest where prohibited. Located in Austin Texas, Canvas On The Cheap delivers high quality canvas prints on time and at incredible prices. They have canvas professionals who produce over one million canvas photo prints per year. 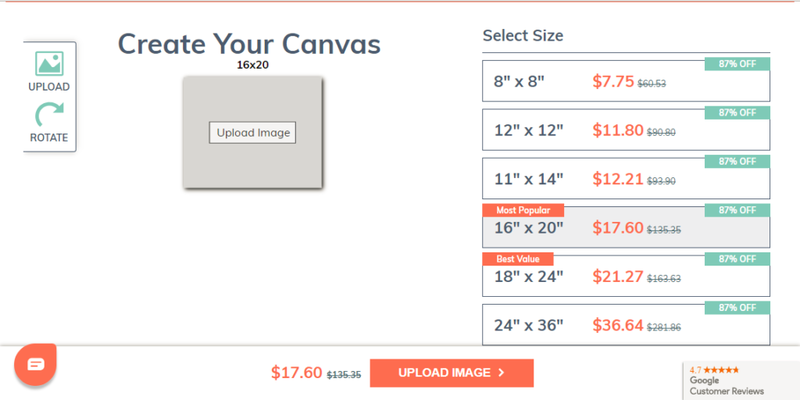 That massive volume on the most popular canvas sizes enables them to pass huge savings on to you. The canvas prints are printed and stretched in-house and come ready to hang or display with a classic semi-gloss finish. Whether you are celebrating Christmas, Mother’s Day, a birthday or any special occasion, be remembered for giving a one-of-a-kind custom canvas print from Canvas on the Cheap. Decorating, Family, Giveaways, Home, Saving Money. permalink. I like how easy it is and the size selection per price. I find it neat that they stretch it themselves and they produce over one million canvas photo prints per year. Oh these are so beautiful! I learned that they use certified eco-friendly latex inks! I learned they are located in Austin, Texas. You can complete your canvas with decorative frames.